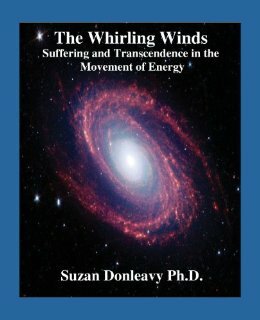 Couple and parent-child relationships suddenly begin to make sense after acknowledging the Whirling Winds motif, a symbol dating back over 3,000 years. Understanding this age-old pattern helps to free us from what is often most painful within personal relationships: the ever-turning wheel of attraction and repulsion. Furthermore, it can also aid us in appreciating our waxing and waning physical, mental, and emotional energy levels. For example, when the Moon or Sun is in Scorpio, a person with the Sun in Leo will gain energy – these would be good times to schedule high-powered events and be extra-productive. However, when the Moon or Sun is in Taurus, she may feel drained of energy and be more emotionally sensitive than usual. It can be eye-opening to track one’s energy levels and emotional state, especially in connection to the Moon, which changes sign every few days. (You begin the week with a head start!) Dr. Donleavy’s book has worksheets and a support website which enables you to do just this.